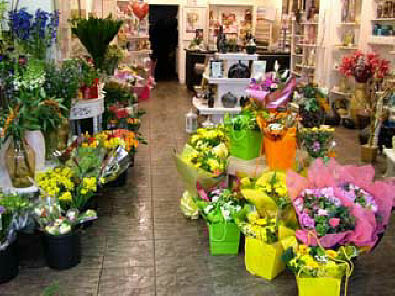 Established in 1990, 'Flowers by Joy' is Aberdare's premier florist with flowers for all occasions. They embody yesterday's traditions of a first class personal service together with quality flowers and competitive prices. 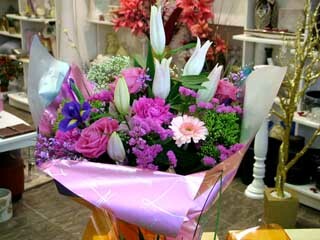 Most importantly, they offer a worldwide, national, local, same day Interflora delivery service. The shop in the centre of Aberdare Town is spacious, well laid out, and bursting with exciting and beautiful items. They cater for all occasions and can supply contemporary or traditional designs. Joy is a fully qualified florist with over twenty five years of experience in the business, so you can be confident of receiving the first class service and products that are demanded by the Interflora organisation. All at local prices to suit every pocket. Interflora truly is an international delivery network with florists in over 140 countries. 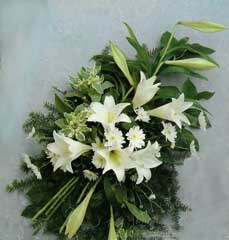 from an Interflora florist will be remembered long after it was received. in person just for you. Above is an example of the quality you can expect to receive. Goose Creek Candles and gifts available. Our large jar candles made us famous! Experience fragrances that are designed to fill your home with festive aromas!